Stockist uses services provided by Google Maps to power the map on your store locator. These services are provided directly to your website, not through Stockist - for more details, please see our page explaining Google Maps licensing. Google provides a generous amount of free map services to all websites, so very few clients need to worry about their usage. However, if you want to check your website's recent usage level of Google Maps services, please follow the steps below. Ensure you're logged into the Google account you used to set up your Google Maps Key. You can check the Google Account page to see what account you're currently logged into. 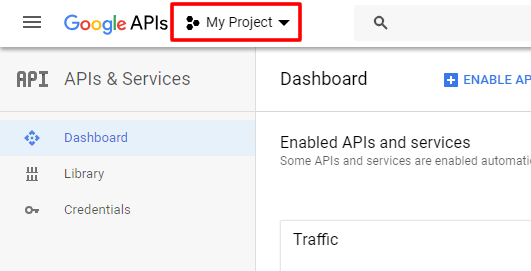 Once you're logged in, click here to open the Google Services Dashboard. For more details about what each service is used for and the associated costs, please see our page explaining Google Maps licensing. The Quotas page will show a graph of recent daily usage for that service. 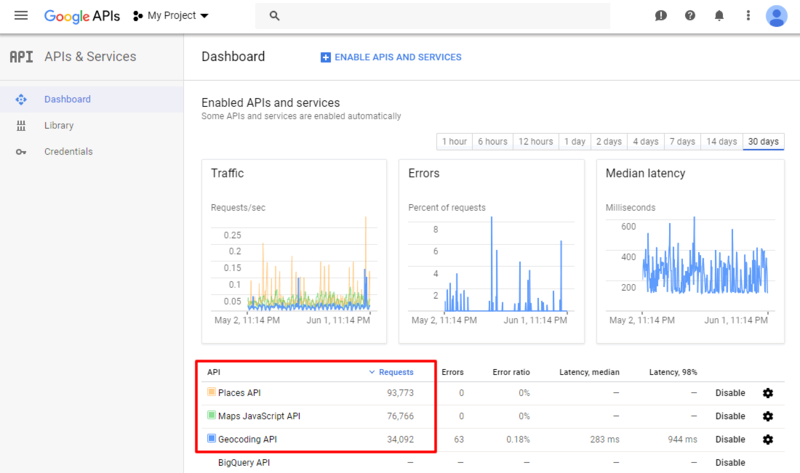 (Note: depending on the service, there may be additional graphs with no data - in this case, you may need to scroll down to find the relevant graph, which will be called Requests or Map loads). You can also use the button highlighted above to download a CSV file containing the usage details.